Easy to make drawstring bag pattern, made with lining, no visible raw edges, no zipper, no magnetic snap, one slip pocket and a big fat bottom. 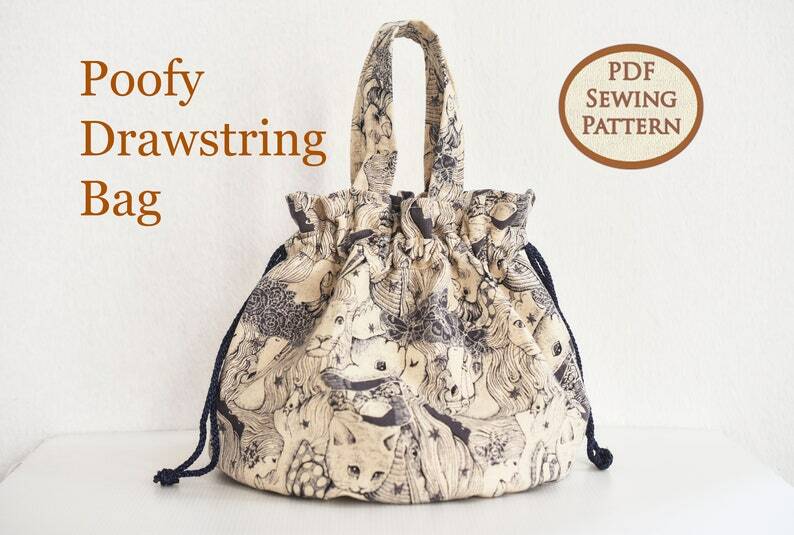 Poofy Drawstring Bag, PDF SEWING PATTERN ONLY. I love a good ole drawstring bag with a nice fat bottom. 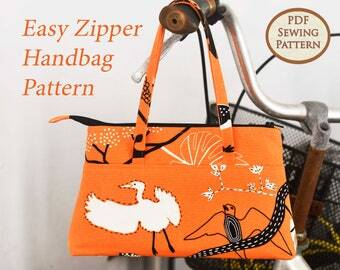 This little bag doesn't require any designer fabric or contrast fabric or colour blocking. The shape of the bag when closed is what makes this bag so lovely. Very easy to make too! Suitable for a beginner in bag making. To read my PDF, you must have a pdf reader preferably Adobe Reader. Best printed from your desktop. All photos, text and patterns belong to Projects by Jane, Jane Poh © 2018. Purchase of pdf pattern includes an explicit agreement by you not to sell this pattern, distribute it for free, make copies or pass it off as your own. You may sell the finished bag. As long as every item is made by you, you may sell as many as you wish. Please credit "Projects By Jane". 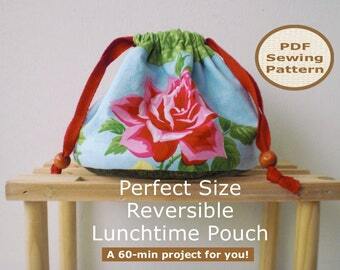 fun to sew and a good size for a lunch bag. I have just finished my first bag from this pattern and it turned out so well. The pattern explains things very clearly and was very easy to follow. I am excited to make more bags using this pattern! I accept payment through Direct Checkout or PAYPAL. PAYPAL - paypal account or credit/debit cards. Do take note that although my patterns are INSTANT DOWNLOAD, you won't be able to download your files until Etsy has completed processing your payment. If you are located in EU, you will be charged VAT according to the prevailing VAT rate of your specific country. Strictly no refund or cancellation.